Steamboat Springs, Colorado is a remote ski town with surprisingly a lot to do even if you don’t ski or snowboard. 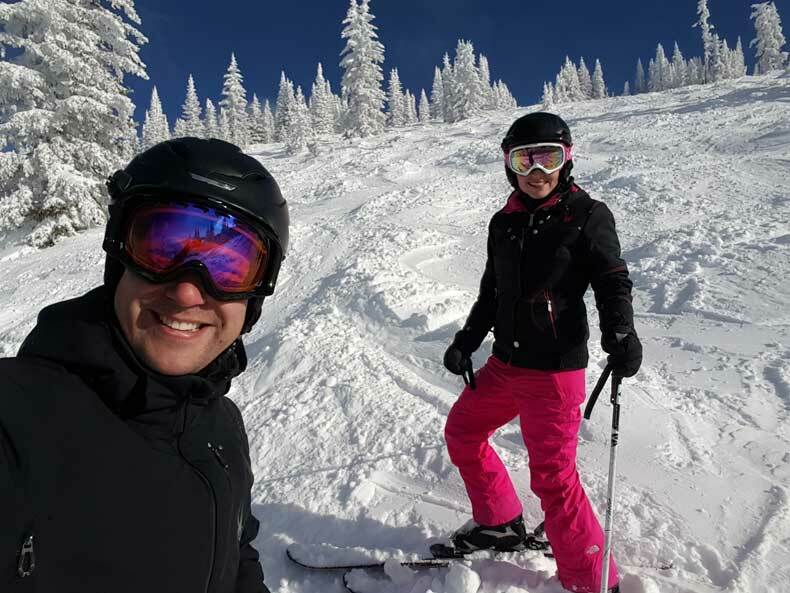 If you are visiting Steamboat Springs in winter, knowing what to expect both on and off the mountain will help you plan the perfect trip. Whether you plan to spend your day skiing, tubing, or exploring the town’s shops and restaurants, there are a lot of great things to do in Steamboat Springs in winter – or any other time of year. Steamboat is incredibly family-friendly. The childcare, ski school, family lodging options and activities for children, make it one of my favorite winter travel destinations. The biggest downfall to Steamboat Springs, especially when traveling with children, is that it isn’t the easiest ski resort to get to in Colorado. 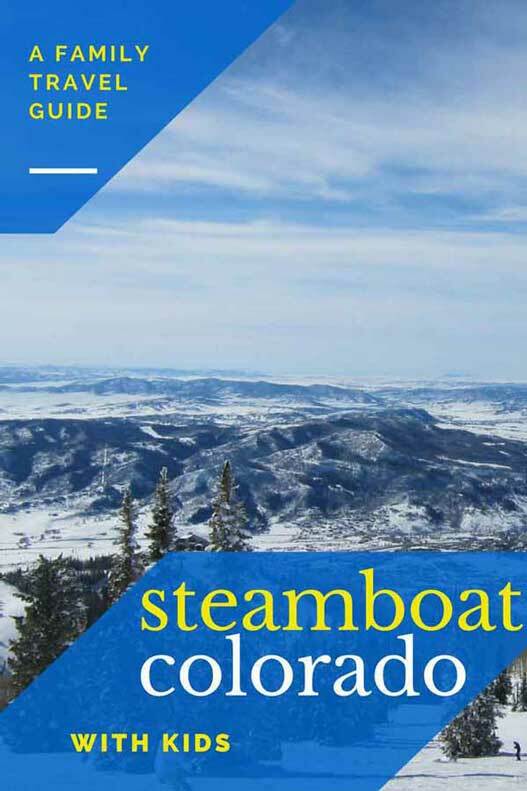 Unlike other resorts, such as Breckenridge, Copper, or Vail, which are within a two hour drive from Denver, Steamboat is a bit farther. It’s about a 3 1/2 to 4 hour drive from Denver. That drive can be a bit treacherous if there is a lot of recent snow which can cause slick or even closed roads. Driving isn’t your only option though, you can also fly into the small town of Hayden (Yampa Valley Regional Airport), which is only a 30 minute shuttle or car ride from the base. The caveat is, it’s a small airport so very few cities offer direct flights, and airfare can be a bit expensive. But I would definitely recommend flying into Hayden rather than white knuckling the steering wheel on the drive from Denver. The distance from Denver can also be a good thing though. The mountain tends to be less crowded than some of the other Colorado resorts. Like many ski towns, Steamboat Springs is a quaint and charming town with a western feel and a lot of dining and shopping options that will appeal to tourists. 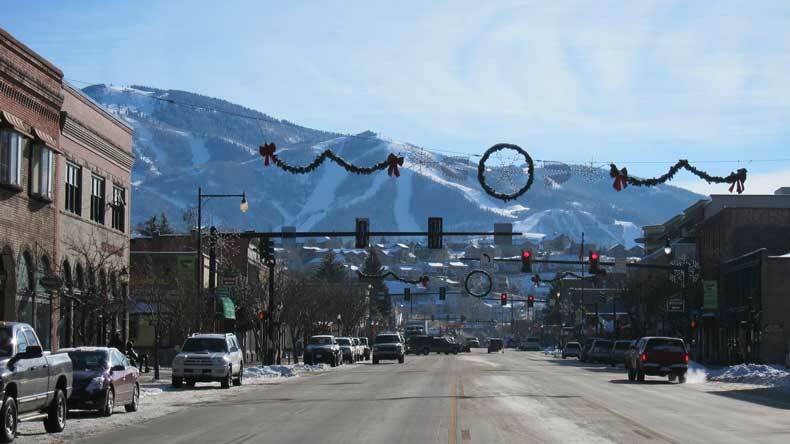 It’s approximately a 5-10 minute drive from the mountain resort to the town of Steamboat Springs. If staying at the base area of the mountain resort, it’s worth making the short trek into the town at least one night for dinner or for a day of shopping. Steamboat Springs does a very good job of maintaining the streets, plowing them every night during the winter when they have a big snowfall, so the drive from the resort to the town is quite easy. There are some really great restaurants for foodies and craft breweries for beer lovers. I’d recommend having dinner at Mahogany Ridge Brewery. If you are a craft beer lover, you will enjoy their Alpenglow beer. Mahogany Ridge is not only a brewery but a restaurant too, and it is family friendly. The food is wonderful and the atmosphere is equally great. Every ski town typically has a variety of charming boutiques and unique shops. Steamboat is no different. You’ll find plenty of stores carrying winter and ski apparel. Gourmet candy shops and souvenir stores offer plenty of keepsakes if you are looking for a gift or just want something to take home with you to remember your trip. 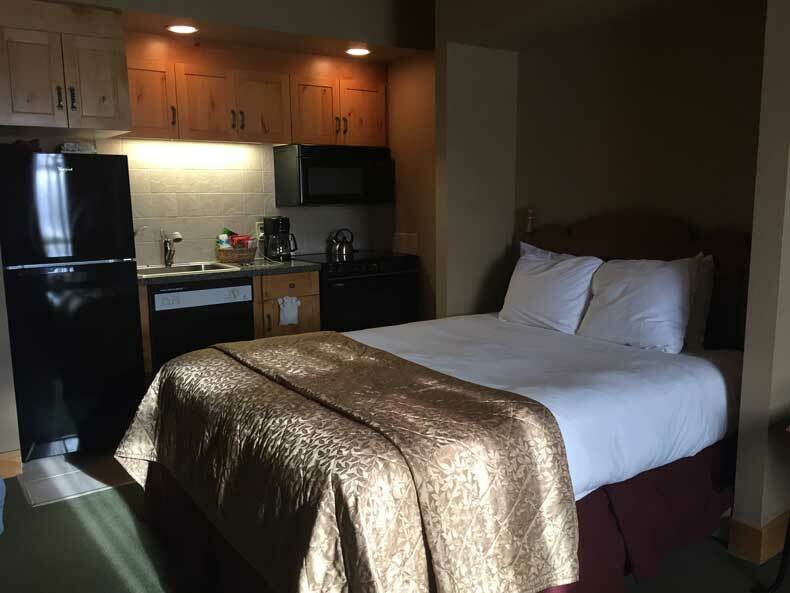 When looking for lodging in Steamboat, Colorado, there are a few factors to consider. Are you looking for something that is ski-in, ski-out? Or are you willing to stay a bit farther away to save money? There are a few ski-in, ski-out places in Steamboat, but for the most part you will have to utilize the free shuttle from the base area to access most of the hotels. If you don’t mind a short walk, there are some great options that, while not ski-in, are still fairly close to the lifts. We have stayed in a couple of the hotels in Steamboat but particularly liked the Steamboat Grand. 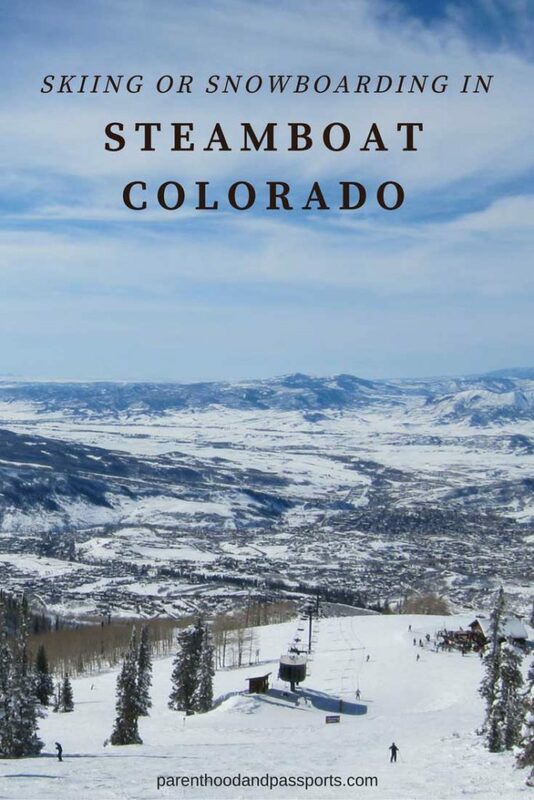 The Steamboat Grand is not ski-in, ski-out, but it is within a very short distance from the mountain. It is directly across the street from the main lifts, so you don’t have to take the shuttle. They also offer free ski and snowboard storage right at the base, which is a convenient perk that I love after a long day on the mountain. The accommodations are very nice, comfortable and spacious. It definitely makes it easier for families traveling with young children. Our room had a small, fully-stocked kitchen, double sinks in the bathroom, and a living area. As with most hotels in the United States, they also offer roll-away cribs for families traveling with babies. The hotel has a great restaurant and bar right off the lobby that serves a wonderful breakfast. If you want something a little less expensive, there are some great places that serve breakfast right at the base of the mountain. While many people who visit Steamboat Springs in winter stay near the mountain resort, you can save money by staying in the town. Just a short drive or bus ride from the resort, the town of Steamboat Springs offers a variety of lodging options, as well. This is also a great option if visiting Steamboat during the summer months. One of the most positive aspects of Steamboat is definitely its family-friendly feel. It offers a variety of terrain and a world-class ski school, and there is always something going on at the base. The base area of any given mountain can make or break a resort, and Steamboat’s base area definitely makes it! 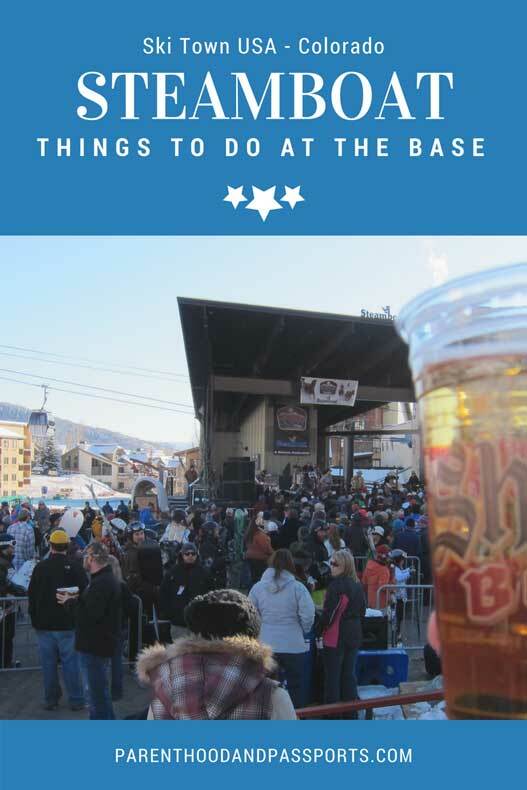 The base area at Steamboat provides entertainment after the mountain closes and during the day for those who don’t ski or chose to take the day off. It truly adds to the atmosphere of the mountain by encourages people to gather, with outdoor seating and fire pits and some great restaurants and shops. 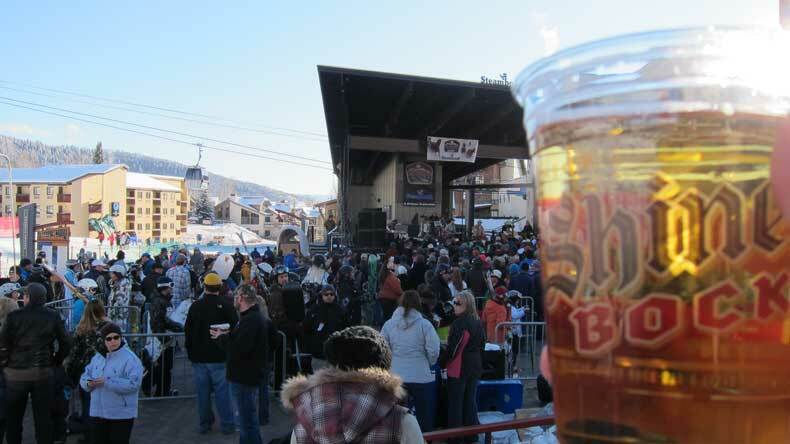 There is always something going on in Steamboat. The mountain resort is known for it’s live music events. Right at the bottom of the mountain there is a larger stage. Each January they hold a large Music Fest. 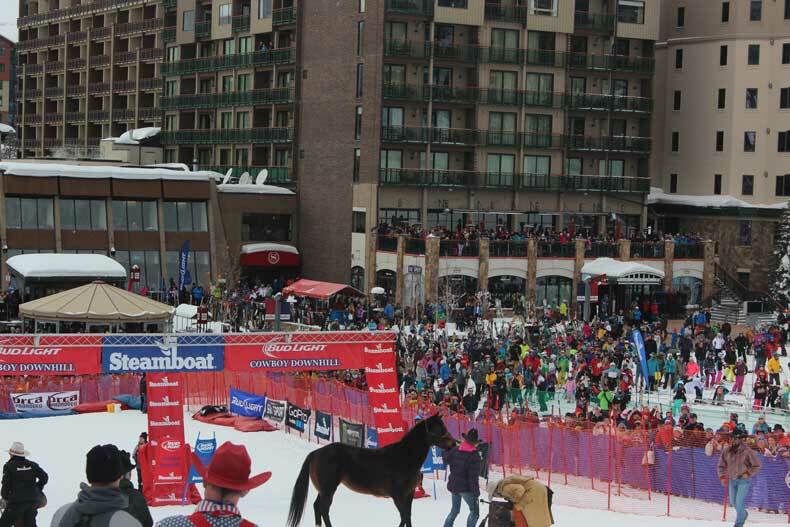 But even when there isn’t a concert going on, you’ll often find ski races and family-friendly spectator events. Steamboat’s base area is a great place to hang out for both families and those who aren’t traveling with children. We’ve also visited Steamboat during the annual Cowboy Downhill, where cowboys in chaps and hats raced down the mountain on skis, and then partake in a roping and saddling competition. There is live music, sky divers, and plenty of family entertainment. The gondola will take you from the base of Steamboat Mountain Resort to the top of the mountain where you can have a meal, ski down, or take pictures. It will also take you to the parking lot. Even though we stayed at the base, we took the gondola to the parking lot simply to take a picture of the iconic barn that is directly adjacent to it. It may be the most photographed landmark in Steamboat. There is also a free shuttle that will pick you up at the base and take you to the surrounding hotels. It comes in very handy when you are carrying all of your ski or boarding gear. Steamboat is one of my favorite ski resorts. The mountain itself and its varying terrain are hands down the top reasons we repeatedly visit and ski in Steamboat. The mountain has a good variety of greens, blues and black runs, which makes it fun for skiers of all levels. For novice skiers, there are a good amount of long green runs even at the top of the mountain. This is a big bonus, in my opinion. At a lot of resorts most green runs are clustered together toward the bottom of the mountain near the base, accessible by only one of two lifts. Not the case with Steamboat. Don’t under a ski mountains ratings system? Check out our guide to the top skiing terms and phrases you’ll hear on the slopes. 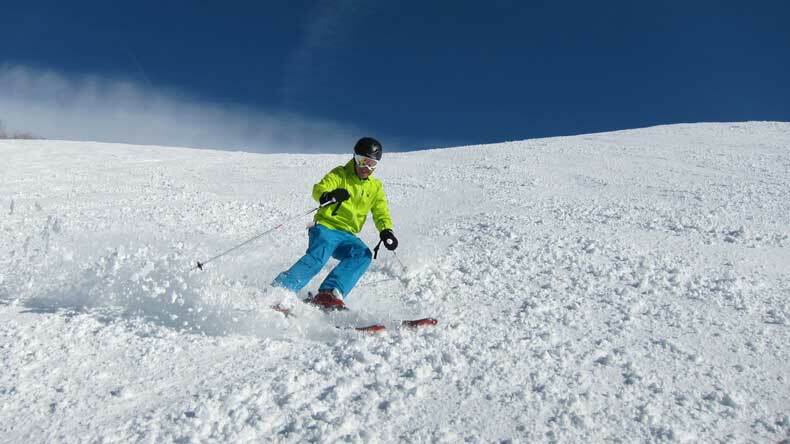 This becomes especially beneficial when your skiing with people of varying abilities or with a young child learning to ski for the first time.One parent can always ski with the beginner while the other parent or older, more experienced children can ski down the more difficult terrain that runs parallel to the green. The parallel runs will still meet up at the same chair lift. If your child is in ski school and already taking chair lifts, there is a good chance you might spot them on the mountain skiing in the same general vicinity as you! Nothing like a quick proud parent moment when you spot your little shredder snowplowing down the mountain with the rest of the kids in her class! 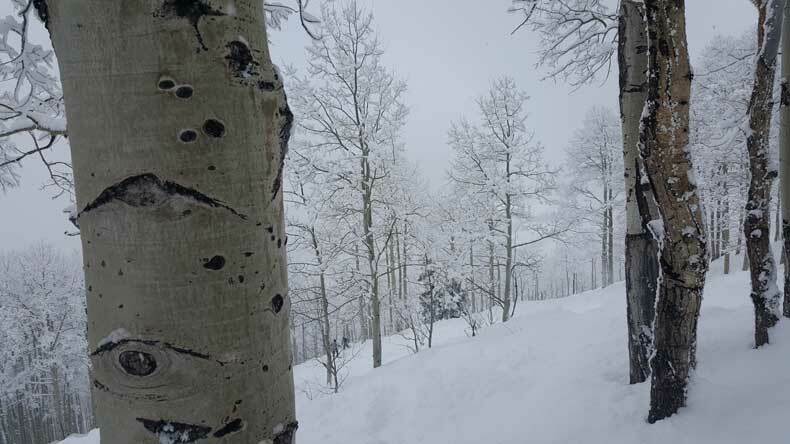 If you aren’t skiing with a novice, there are a lot of great runs for experienced skiers, including some really fun tree runs (my favorite) and even some hiking terrain. Because Steamboat is somewhat isolated in northern Colorado, which makes getting to the resort a bit more challenging, it means there are hardly ever long lift lines. Compared to some of the resorts closer to Denver, Steamboat is always a lot less crowded. That means you can get in a lot of skiing in even in a short amount of time. 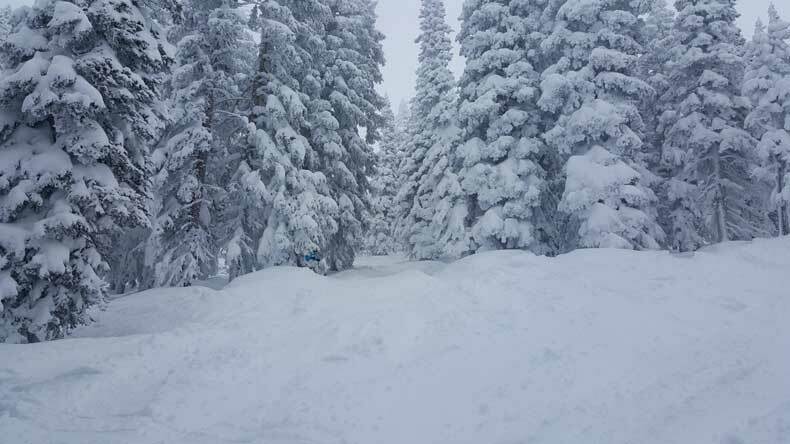 Another great thing about Steamboat’s location is that it tends to get a good amount of powdery snow. They actually call it champagne snow because it’s smooth and dry, which is perfect for skiing. 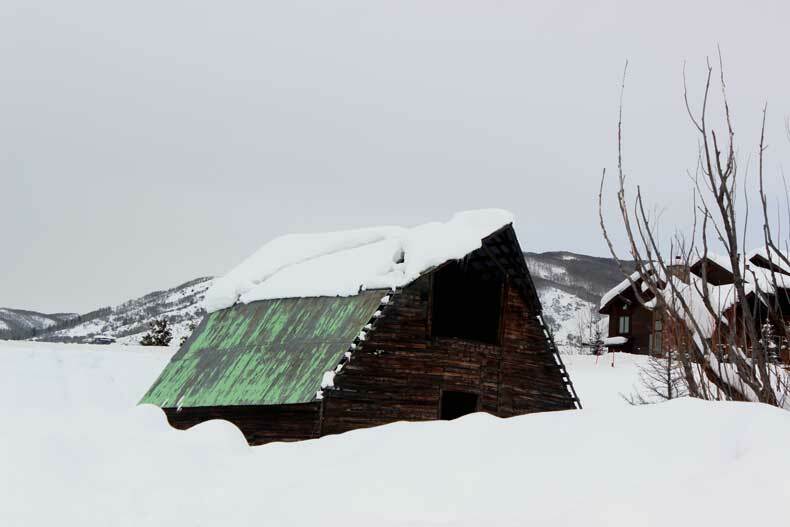 Although it’s known for mountain sports, there are plenty of things to do in Steamboat Springs in winter off the mountain, as well. Many of the family-friendly activities in Steamboat are suitable for all ages and fitness levels. 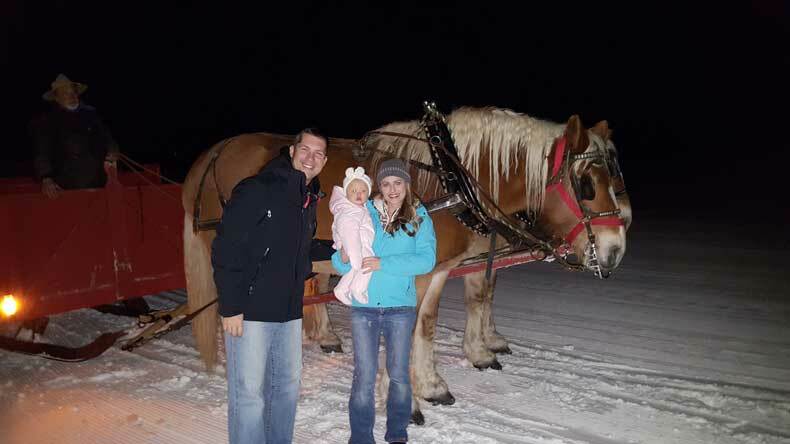 We took our 11-month-old daughter on a dinner sleigh ride at Haymaker’s. The food was wonderful and the staff and horses were very friendly. They offer warm blankets and hot cocoa to keep you warm on the 20-minute sleigh ride. 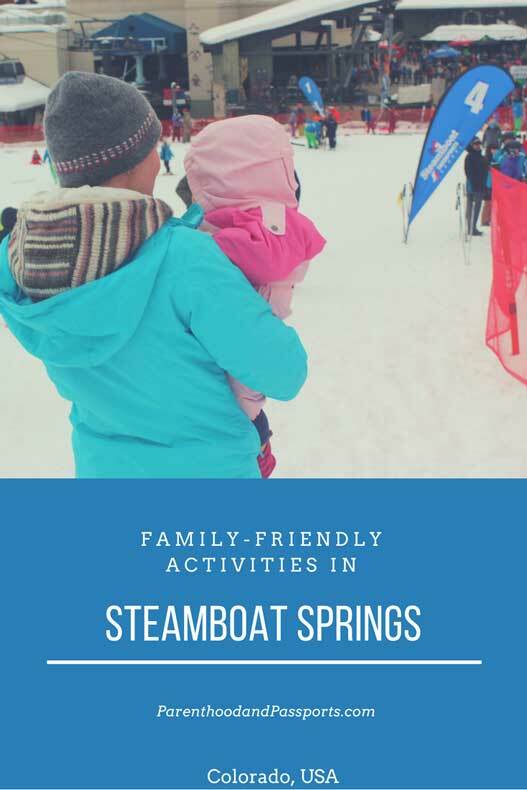 This is definitely one of the more relaxing family-friendly activities in Steamboat that you can do with very young children. This is another activity that is suitable even for very young children. My daughter LOVES dogs, so naturally dog sledding is a perfect activity for animal lovers. Although we haven’t been dog sledding yet, this is definitely something we are excited to do the next time we visit. Tubing is a popular family-friendly activity in Steamboat. It says children of all ages can participate and that young children just need to ride in the lap of an adult, but if traveling with a very young toddler, I probably wouldn’t recommend it. I have fallen out of a snow tube or sled one too many times so I wouldn’t recommend this activity for those 2 years old or younger. Steamboat Springs actually got its name because of the multitude of natural hot springs in the area. When the first settlers came to the area, they said the sulfur which was steaming out of the hot springs sounded like a steamboat, so they named the town Steamboat Springs. The hot springs are open year round and can provide a nice relaxing break from the mountain, if you just need to soak your sore muscles. The hot springs are suitable and open to children of all ages, in fact kids under two are free! 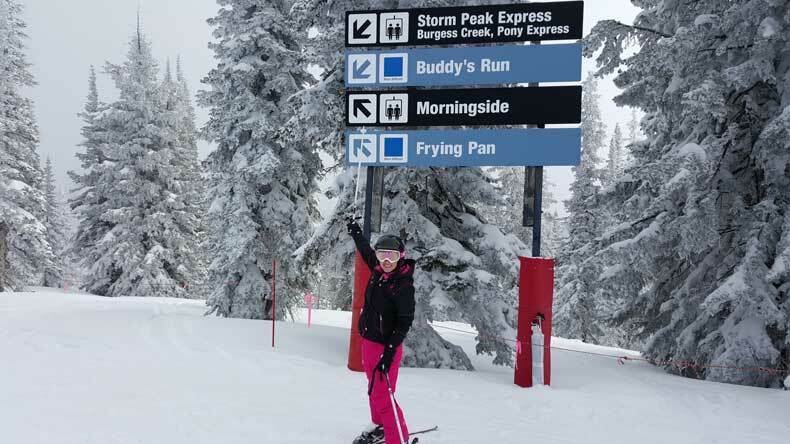 The Kid’s Vacation Center and ski school in Steamboat are top-notch and highly convenient for parents who need some much deserved grown-up time on the mountain. 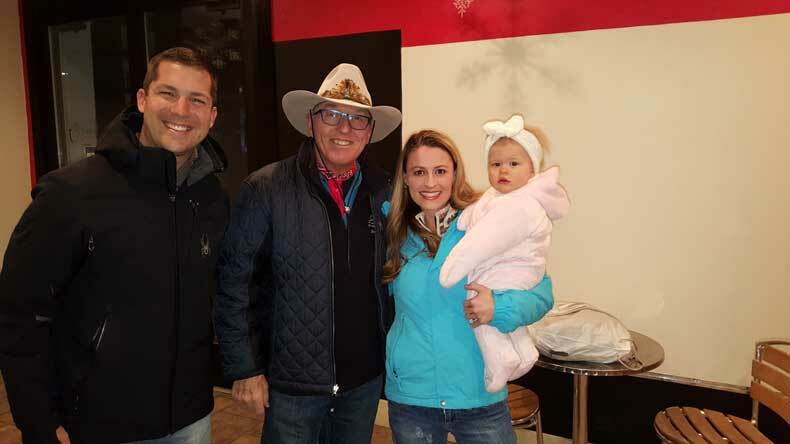 Pictured with Billy Kidd, the first American to ever win an Olympic medal in skiing – and a Steamboat native. Not that I expect my daughter to become an Olympian, but I do want her to be able to ski well. Skiing can be a dangerous sport, especially if you aren’t very good, and I don’t want her to get injured. Also, skiing is a big part of our lives. We go skiing about three times a year, 20 days total, and we want our daughter to eventually be able to ski the same terrain that we ski. 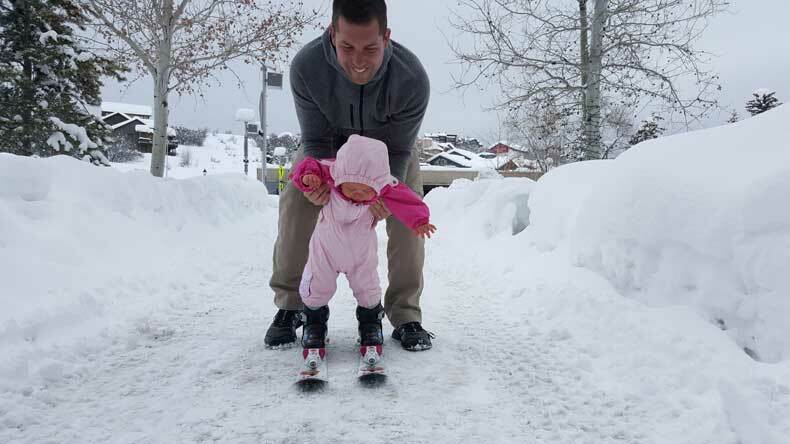 So, when she gets old enough (kids can start at 2 1/2 years old) we will put our little girl in ski school in Steamboat because it’s one of the best around. How do I know? I’ve talked to other parents. On the lifts or the gondola, in the restaurants, or at the base… People tend to talk to each other in ski towns. I’ve spoken to several parents that said the ski school is superior to other programs they’ve experienced. 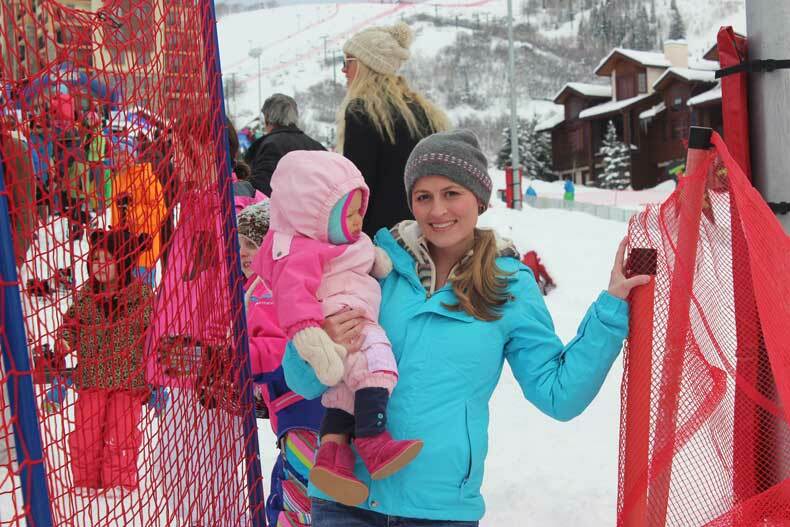 And finally, the ski school in Steamboat and bunny slopes are so conveniently located, right at the base of the gondola, making it easy to pick your child up at the end of their session. The child care is a bit pricey (as it is in any ski town) but the facility is clean and very well staffed, and the children are separated based on age. By “a bit pricey” I mean it will basically cost you the price of a lift ticket. 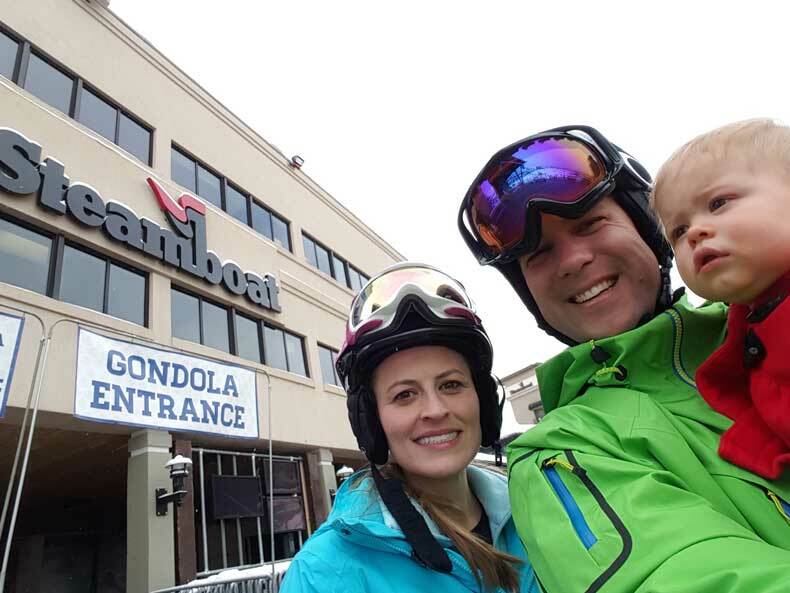 It is also located directly below the gondola so you can literally ski down at the end of the day, pick your child up, and catch a gondola to the parking lot or head to a restaurant to grab a bite to eat. I would recommend reserving a spot in the Kid’s Vacation Center early because it does tend to fill up fast. Babies need to be at least 6 months old to use the child care facility and the rates are based on a full day only. There is no discount or reduced price for a half day. But when your child is old enough to finally ski with you, KIDS SKI FREE!